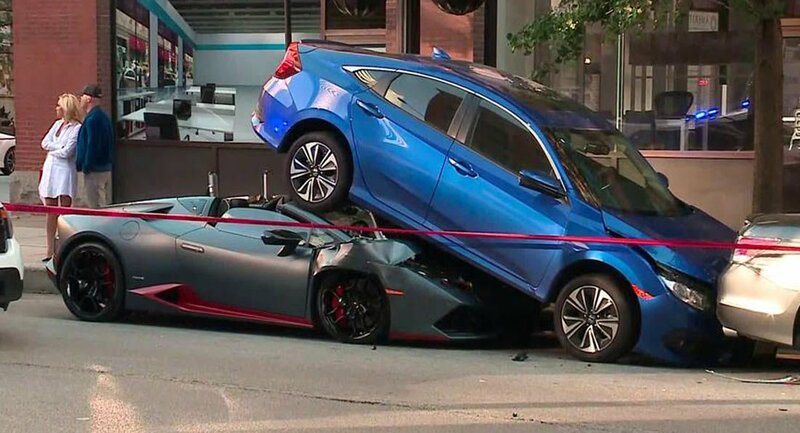 A couple who was on their way to a dinner last Friday night in Chicago were involved in an accident where their Lamborghini Huracan Spyder wedged itself underneath a parked 10th gen Honda Civic. 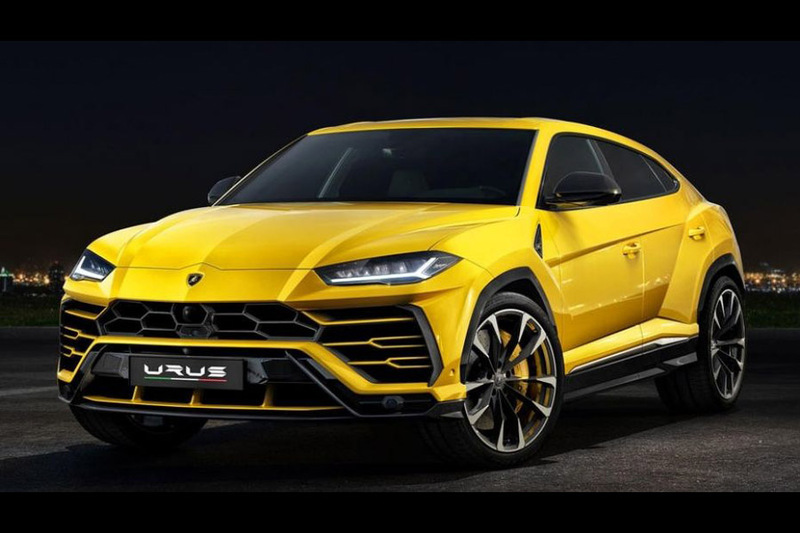 Related: Crash Of The Clones: X7 Crashes Into Evoque In China! According to the Huracan driver, they were hit by another car and instead of hitting the brake, he accidentally stepped on the accelerator pedal, which sent them underneath the Civic. 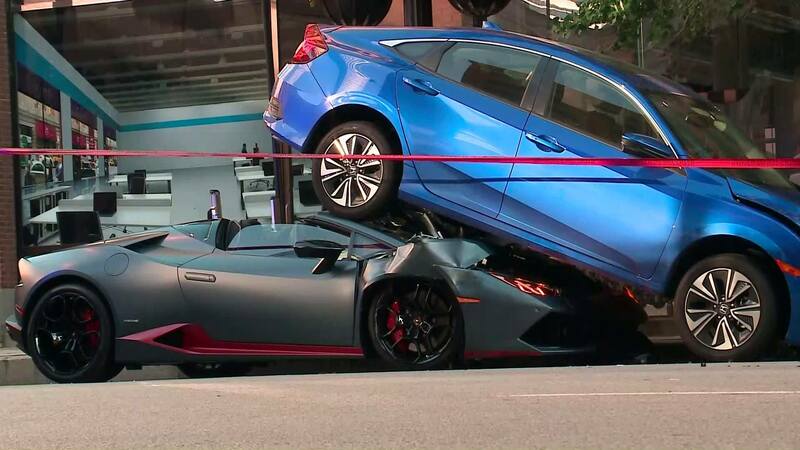 Fortunately, no injuries were reported after the incident and both occupants of the Huracan Spyder walked away without harm. The Honda Civic was unoccupied as it was parked in the West Loop when the accident happened. 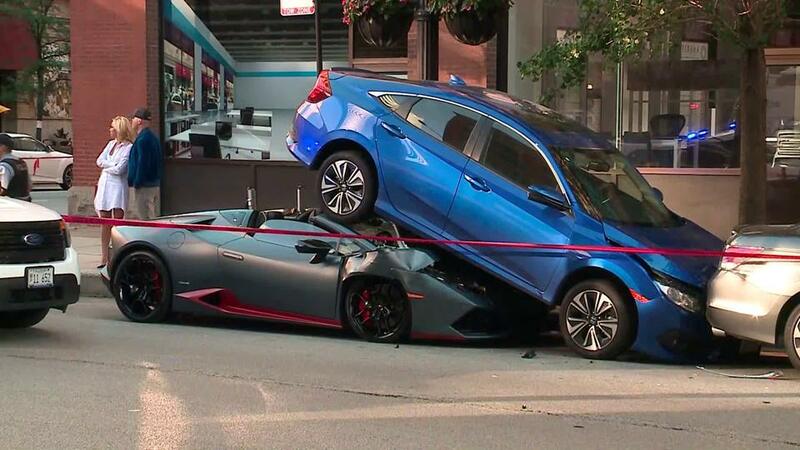 Huracan’s wedged shape proved to be beneficial in a crash like this. 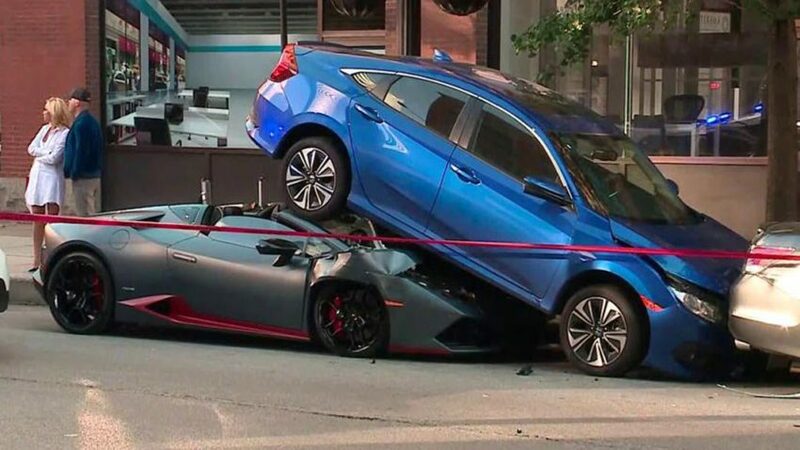 Instead of the car absorbing the impact, the Lamborghini went underneath, which possibly lessened the shock brought about to the driver and passenger. 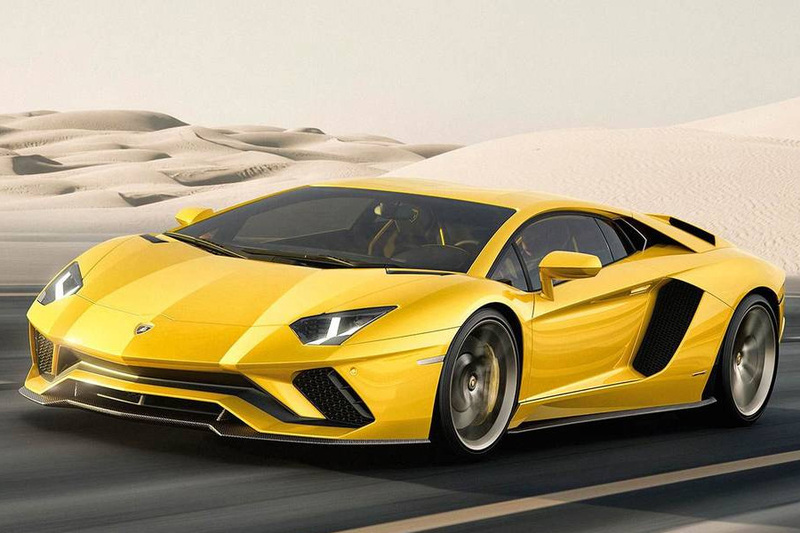 Speaking to the media, the driver of the Lamborghini Huracan didn’t seem overly bothered by the ordeal, simply stating that his first thought after the crash was to get out of the car because he noticed the fuel was leaking. Reportedly the couple would go on car shopping this Monday to replace the wrecked Huracan Spyder. 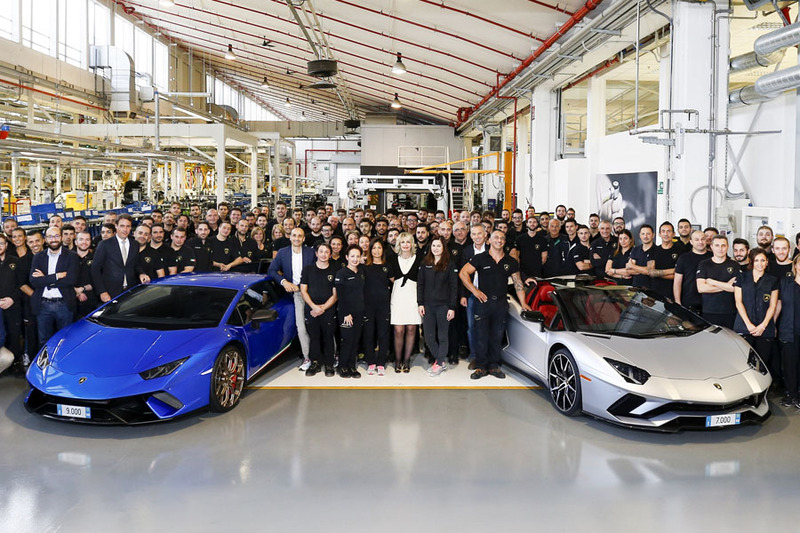 Future Lamborghinis to be Hybrid V10 or V12s- No Turbos!